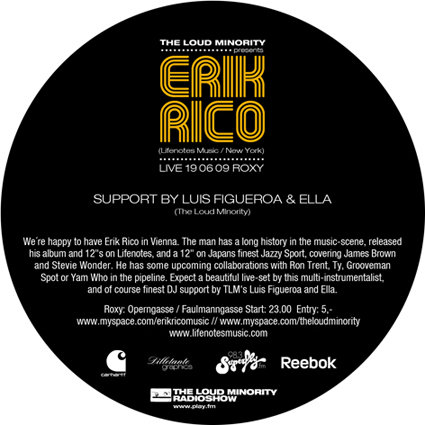 As a keyboardplayer for Q-Tip Erik Rico already toured around the globe. Now he visits Europe solo with his multicoloured music. In Vienna he will play an intimate gig where he mixes Soul and Funk with Electronic into a style that he calls Electrosoul. But whatever it sounds like: at first comes the velvety voice of this talented singer, that sounds like a young reincarnation of Stevie Wonder. A concert that close the gap between the organic vibes and computer sounds to show how limitless modern Soul can be.